Located in the central Japan, we are accessible to and from all customers nationwide. This area has good infrastructure for iron casting. This area has high tolerance against natural disasters − high enough to have been nominated for the capital relocation. Surrounded with beautiful nature with seasonal changes, this area offers quality living environment. 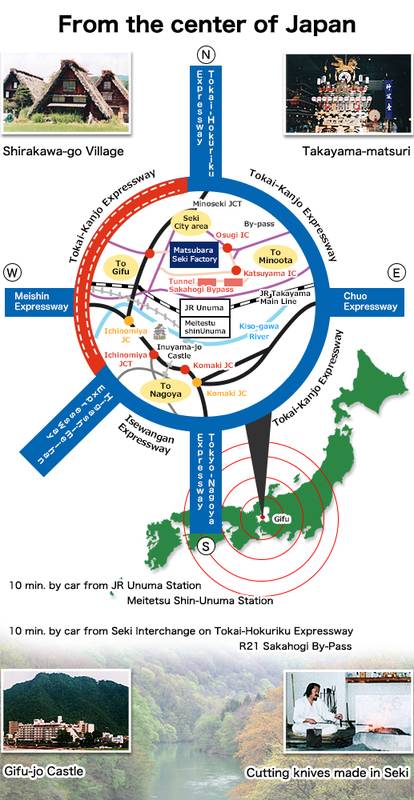 This area is also accessible to overseas markets via Chubu International Airport and Nagoya Port. With the affluent surrounding nature away from residential area, our plant is certified as the ECO-friendly model plant of the 21st century, which allows us the production activities around the clock with local communities' support.